This radio romance started with a blind date in Victoria, during the days of the Distant Early Warning radar netywork in Canada's north. A lonely technician, on leave, dated a nurse from St. Joseph's Hospital, here, but like most blind dates, it didn't go well. Neither was impressed! But, back in the isolated northern outpost, "absence made the heart gro fonder." 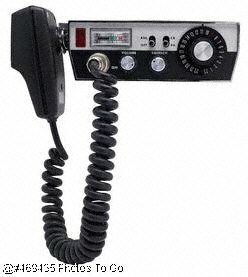 The lonely swain got on the radio to renew his friendship, via my ham radio and a phone hookup. It wasn't easy, the nurse didn't want to talk to him! With the help of the head nurse, I got them hooked up again, in spite of radio interference and time differences. Several times they made up, but threatened to break it off. He was guarded, realizing that the whole North was listening in to a kind of ham soap radio. When he hesitated, an unknown voice broke in, "for Gawd's sake tell her that you love her!" That did it, they married and now live in Eastern Canada with two children. Thanks to ham radio! For many years Canada maintained weather ships, first The Stonetown and St, Catherines, and later the VAncouver and Quadra, which had radio amateur hamshacks as the ships were out for seven weeks, on Ocean Station Papa, about a thousand miles west of home port Victoria. Sometimes home emergencies arose and many were transmitted by Roy Parrett to the ships at sea. On board the weather ships were Jack Scarlet, VE7JS, OIC Radar, and Bill Harris Third Engineer on Stonetown, then on the newer Quadra. One of my radio activities is helping with communications for The Pacific Cup Hockey tournament each January in Victoria. About 100 teams play in ten arenas over a weekend, with communication by amateur radio- reporting scores, handling administration, dealing with transportation and injuries. A busy schedule.